Calle Agra de San Amaro , La Coruna , Spain (Postal Code: 15002). Swimmers like you reported 25 meters x 16-2/3 meters, 8 lanes, 1.4 meters average depth, 1.4 meters average depth, Indoors. Phone number and e-mail address are number for this Swimming Pool. Updated on 2019 CRTRA. SANTA CRUZ,S/N 15176 - OLEIROS-BASTIAGUEIRO (LA CORUÑA) , . Updated on 2019 PASEO DEL PARROTE, S/Nº - LA SOLANA 15001 - LA CORUÑA , . Updated on 2019 REAL, 83 15003 - LA CORUÑA , . Updated on 2019 Calle Manuel Murguía , La Coruna , Spain (Postal Code: 15011). Few days ago a common user of this center told us they offer Olympic size, 10 lanes, Indoors. Furthermore, they keep in good conditions 18 meters x 7.5 meters, 1 meters depth, 1 meters depth, Indoors. For this Swimming Pool, only phone number is number here. Plaza Agustín Díaz Sánchez 5, Bj. , La Coruna , Spain (Postal Code: 15008). 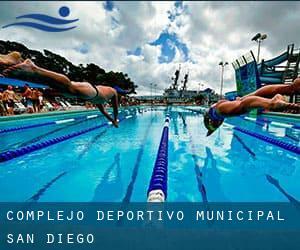 Among all the activities offered by the center, if you are interested in swimming you can appreciate 25 meters x 12.5 meters, 6 lanes, Indoors. Just in case you need to get in touch with this Pool before dropping by, we only know the phone number. Updated on 2019 SEBASTIAN MARTINEZ RISCO 12 15009 - LA CORUÑA , . Calle Alcalde José Manuel Liaño Flores s/n, Bj. , La Coruna , Spain (Postal Code: 15010). Among all the activities supplied by the center, if you are considering swimming you can expect to take pleasure in 25 meters x 12.5 meters, Indoors. Just in case you would like to contact this Pool before dropping by, we only know the phone number. Updated on 2019 PASEO DEL CLUB DEL MAR, S/Nº 15002 (A CORUÑA) , . Avenida de Arteijo s/n, Bj. , La Coruna , Spain (Postal Code: 15008). Swimmers like you reported 25 meters x 12.5 meters, Indoors. Unfortunately we do not have the email address of this Pool, but we can give you the phone number. Updated on 2019 AVDA. MESTROSIDERO, S/Nº 15001 - LA CORUÑA (A CORUÑA) , . Updated on 2019 CAMPO DO SOUTO-PISC. MUNICIPAL 15900 - PADRO (A CORUÑA) , . Updated on 2019 PASADIZO DE PERNAS, 17 -1º 15005 , . Calle Manuel Murguía , La Coruna , Spain (Postal Code: 15011). Swimmers like you reported 25 meters x 12.5 meters, 6 lanes, Indoors. Unfortunately we do not have the email address of this Swimming Pool, but we can give you the phone number.